It’s a new year, and as the old saying goes, “Out with the old and in with the new.” My question to you is: Will you make the smart and bold decision to make that your career mantra in 2012? Why do we hold on to the past? Especially, when it comes to our careers? I am constantly amazed at how many unhappy professionals cling to the events of their past as some type of cast-in-stone career story. More importantly, these same folks assume the past now has some hold over their future. Wrong. 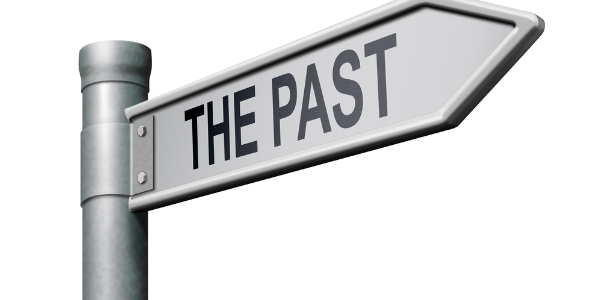 Here are four reasons why you should throw out your past right now! Your past only affects your future when you let it. If you are going to assume things can’t be changed or improved because of what’s happened in your career, well then, give up now. The reality is people change the course of their careers every single day... and it starts with not assuming the past controls the future. Just ask J.R. Martinez. "I don't have any personal challenges about throwing away the past. If you're not changing, you're giving others a chance to catch up." In my experience, it’s better to let the story go so you can free yourself up to write a new, better story in the future. As a career coach, a big part of my job is to help people make peace with their professional past. I have to get them to let go of their career story so we can move forward without roadblocks. Trust me. Hanging on to the past is like having a big rope tied around your waist – and the other side of the rope is tied to an elephant. You won’t be going anywhere fast in your career until you untie yourself.